Dr. Patel attained a Bachelor of Science degree (1995) and a Master of Science degree (1998) in Biomedical Engineering from Marquette University. After graduating from Marquette, Dr Patel worked for Accenture and G.E. Healthcare as a consultant and software engineer. He later attended the University of Illinois at Chicago, where he graduated from the College of Dentistry in 2008. Dr. Patel practiced in Rochelle, IL for four years before he entered practice with Dr. Frederick D. Peltz, who had practiced dentistry in the DeKalb/Sycamore area for over 40 years and was soon to retire. When Dr. Peltz retired in 2015, Dr. Patel assumed management responsibility of the practice. In 2016 Dr. Patel acquired Dr. Daniel Senderak’s dental practice. Dr. Senderak had practiced in the DeKalb/Sycamore area for over 20 years. Assuming Dr. Senderak’s practice allowed him to relocate his office from DeKalb to the current facility in Sycamore. Dr. Patel is an active participant in many continuing education classes throughout the year. He is a member of the A.D.A. (American Dental Association), A.G.D. (Academy of General Dentistry), I.S.D.S. (Illinois State Dental Society), F.R.V.D.S. (Fox River Valley Dental Society), and the C.D.S. (Chicago Dental Society). 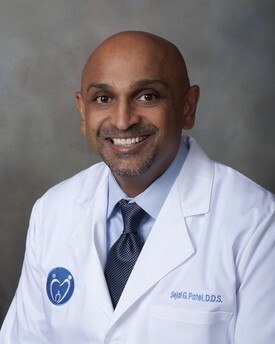 Dr. Patel takes pride in the quality of cosmetic and restorative treatment he provides for his patients, while delivering predictable, comfortable and comprehensive general dental care. Dr. Patel and his wife Reena, also a dentist, live in Naperville and have two sons, Aashil and Aarav. The Patel family enjoys traveling, hiking, and visiting the National Parks. Dr. Patel is also an avid landscape photographer. He primarily takes photographs at the National Parks; his favorite is Arches National Park in Moab, Utah. His work won first place at the college of dentistry and is on display at the school and throughout the office. Dr. Frederick D. Peltz retired from practicing dentistry in September of 2015. 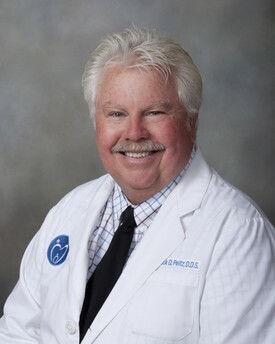 He enjoyed the ability to create smiles and long-lasting relationships with patients over his nearly 40-year career. Dr. Peltz will still be seen around town since he is maintaining his residence in the area. During retirement he plans on spending time with his family, traveling, and maintaining his garden.